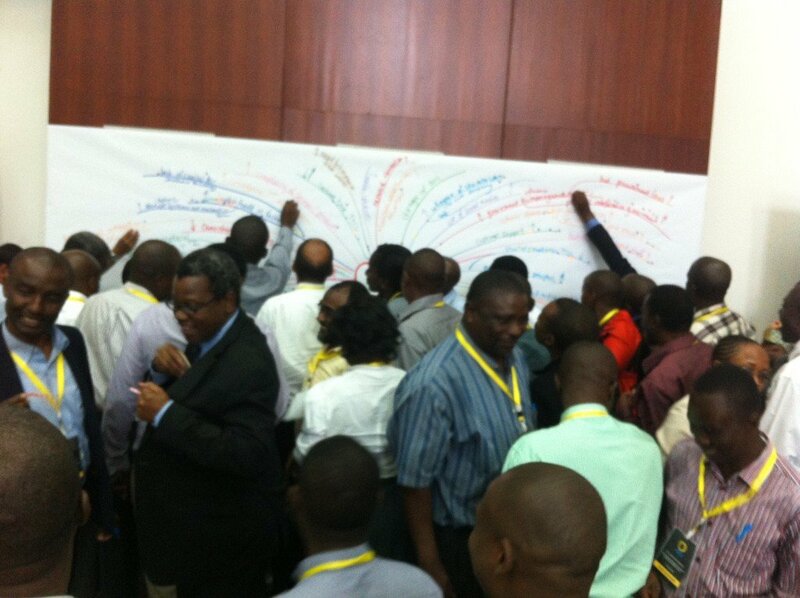 Government officials, ICT partners, trade unions representatives, senior and middle management as well as technical, commercial and support staff come together in Dar es Salaam in May 2016 to discuss the future of the Tanzanian Telecommunications Company (TTCL). During a three day Open Space – Future Search workshop, they discuss how to revitalise the company in its aim of becoming a world class communication service provider in Tanzania. An increasingly more complex market, privatisation and an increasing need for visibility and customer support are among the things this leading fixed network operator is facing. How can TTCL face this future together? The workshop yields concrete plans for the future, in areas such as customer service, human resources, industrial relations and the mindset within the company. The workshop comes at a great time, as a new corporate identity and LTE services have just been released. By rapidly following-up on agreed common ground matters and the related proposed actions, TTCL can keep this momentum going.